It comes to something when four species of birds I have seen this year in the UK are added to the list of globally threatened bird species. The IUCN Red List is updated periodically, after much sucking of teeth and poring over the data (some of which are a bit ropy) and Birdlife International are responsible for the avian part of the list. This list highlights those species which are judged to be most in danger of global extinction, ie being snuffed out completely. Many species on the list are of low population size, sometimes endemic species on small island groups in the middle of distant oceans. But, quite correctly, still-common species which are declining rapidly in population are also added to the list. I say ‘quite correctly’, because I’ve long been of the opinion that lists of conservation concern should flag up those species which are declining rapidly, even when the species is still ‘common’ (see Fighting for Birds p64). And I even wrote a book about one of the species that so well illustrates this idea – the Passenger Pigeon. If there had been decent monitoring schemes in place in nineteenth century North America they would have shown the Passenger Pigeon to be the most numerous bird on the continent, but rapidly declining, as little as 50 years before it went extinct in the wild. Any system of identifying species of conservation concern has to flag up the Passenger Pigeon long before it gets to the last few birds. There are some snags in listing common species as endangered. First, people might not take much notice of the listing because they say ‘there are loads of them – don’t fuss’ and second, because sometimes species will, perhaps, stabilise at some new lower population level. These are snags that can be dealt with – the first is a communications challenge and the second is a good thing anyway. Whereas in the past, the ‘typical’ extinct bird was flightless and/or of restricted range, that is not going to be the case in the modern world. We now have the ability to wreck the whole planet, not just little bits of it bit by bit. In the past we would turn up on a remote island, chop down most of the forest, shoot a lot of its wildlife, introduce pigs, cats and rats, and then, too late, wonder why the native fauna disappeared. But now, our species is so powerful, so influential, that we have transformed and continue to transform the area of forests (we cut them down), the farmed land (we spray it with poisons and make no allowance for nature), the seas that make up most of the planet (we over-exploit them) and even the very climate of the air that swills around above our heads (we are cooking the planet). Practically nowhere on Earth where life is possible remains untouched by our species. Practically nowhere on Earth remains undamaged by our species. And so, most species will suffer, and a few will benefit. But the species that suffer will no longer be those restricted in range where a group of Victorian men with guns, axes and rats went a bit bonkers – it will also be those that are widespread – for we have gone a bit bonkers everywhere. We are not living sustainably when the list of threatened species grows each year. Nothing is a clearer indication of our unsustainable lifestyles and impacts than that we are driving more and more species with which we share our only home towards extinction. The four species added to the globally threatened list this year tell a story. The Pochard is a species I see on almost every visit to Stanwick Lakes – it’s not rare. But globally, it is declining and that decline is reflected in counts for the UK and for all UK countries. A decline of between a third and a half in just over a couple of decades is a major decline. If it continued into the future then the Pochard might leave Earth at around the same time that I might. I don’t want to be shuffling off this mortal coil with the Pochard. By the way, not spreading lead shot around all our wetlands would be a good idea as one thing that would help this species (just saying). The Slavonian Grebe is a rare bird in this country, certainly as a breeding species, but is declining around the world. Climate change? It’s a species of high latitudes where climate changes more rapidly (and arguably the ecology is simpler and gives, perhaps, less room for manoeuvre for affected species). The Puffin will be the species which gives most people a frisson of displeasure at its listing. Everyone loves a Puffin – even if hardly anyone has ever seen one (normal people that is). Often referred to as ‘the comical-looking Puffin’ it should now be thought of more along the lines of ‘the tears of a clown’. 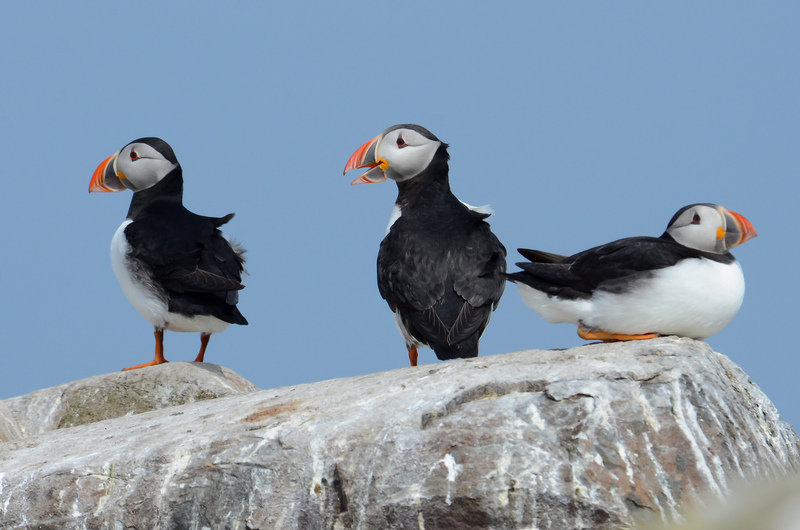 To imagine a world without Puffins is awful. But the species which I actually find most poignant is the Turtle Dove. When I wrote of it in A Message from Martha I made the link with the decline of the Passenger Pigeon and things have accelerated in severity in the last couple of years. 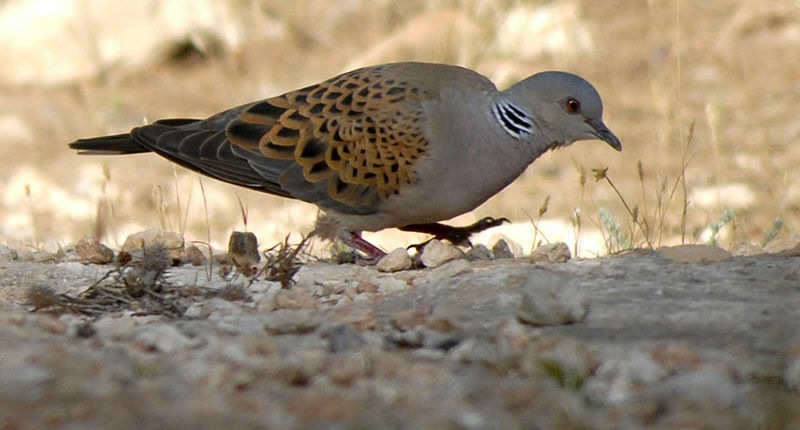 This year I have seen one Turtle Dove – which was sufficiently noteworthy to merit a blog I thought. The information we have on nesting success of Turtle Doves suggests that farmland is just not suitable for them any more. Disease may play a part, and shooting can’t help, but this bird now has atrocious breeding success in the British countryside. If the few that get back here each year, and which have the pick of the whole of southern England to nest in, produce very few young then that shows how awful the ecology of farmland is. Depressing isn’t it? We should remain silent for the ‘two Turtle Doves’ part of the 12 days of Christmas from now on. But that is the future. We will see more and more species, and more and more familiar, widespread and common species, declining and being brought to the brink of extinction, with some falling off the cliff. We can save some of them through conservation initiatives, but not many. The future will be very different from the present. It will either be a future where we share the planet with far fewer species, or it will be a future where we live much simpler, less exploitative and more sustainable lives. Which do you choose? And who is asking us to choose? I wonder does the sustainability include the continued existence of wildlife in the area. Thanks Mark, a nice clear article on the sheer scale of the bird conservation problem. You refer to simpler living by humankind; what would be your top 3 points for "simpler living"? Andrew has made some good points on food. Eating less, wasting less and paying a fair price to farmers, so that they can do their bit would be one good objective. Hilary - travel less (and greener), eat less (and more vegetarian) and buy less 'stuff' (it's just stuff!). Not a bad start. 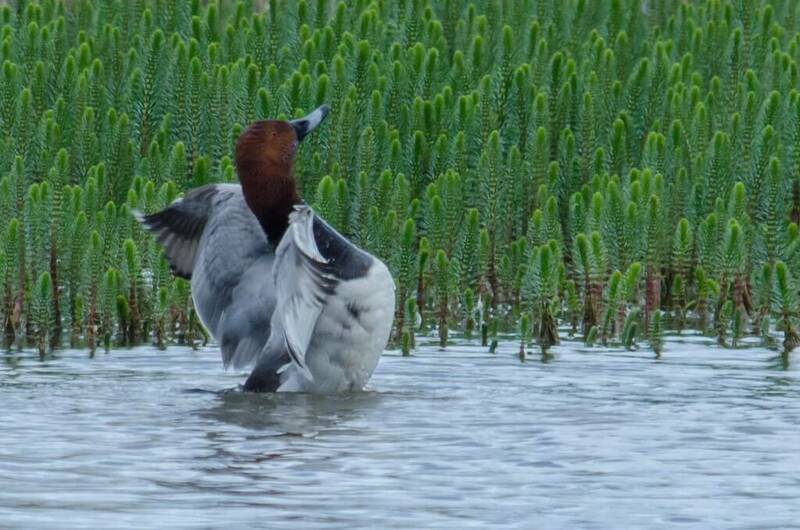 I remember a good population of breeding Pochard on an RSPB reserve. It was decided to remove the breeding Black headed Gull population and guess what happened! 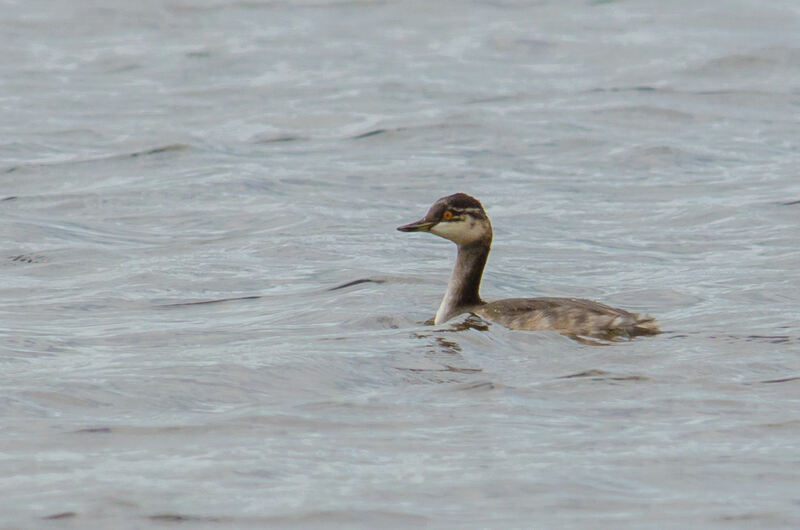 This is the same for the Slavonian Grebe and Black necked Grebe. They need cover from the Black headed Gulls to protect them from predators! May be Black headed Gull should have been added as many colonies have disappeared in recent years like the famous Ravenglass and even the Kinnordy one running into several thousand of pairs. Change in Agriculture is one answer and the continuous use of Ivomac! When did you last see a 'dung' beetle at a dog dropping! John - your comment is a good example of the unnecessary micro management that takes place in many UK nature reserves, with little consideration given to the effect it may have on other species or the wider ecosystem. Of course there are various factors involved in the decline of these birds but when population levels of 'common' species are tumbling ever downwards it should be clear that it is not the time to be even thinking of doing anything to weaken the Habitats and Birds Directives. On the contrary, we need to be thinking about how they can be reinforced and their implementation made more effective across the whole of the EU. If only Ms Truss and her European counterparts would recognise this. Anybody out there remember why miners took canaries down the pits? Turtle doves, Pochards, Griffon vultures, Hen Harries.......these are our canaries. The pochard news is sad. The declines in the UK have not been too clear due to the large peak in winter numbers in a cold winter some years back. Well worth an investigation to find out what is limiting growth. My bet is on breeding declines, probably by range and due in part to recreation including hunting in Russia and eastern Europe. Lead as Mark says too, as the implementation of the AEWA on lead outside of was Europe is pretty thin. Threats in the UK are less clear, wintering birds are hunted but only in numbers in the washes or in Ireland. The recent studies of causes of declines in scaup in the US may help. The biggest action we could take is to demand management of hunted wildfowl at an appropriate scale, modeled on USA/cananda that generates revenue to actually tackle problems such as these. Well some chap from the RSPB talking about the decline in these species that have been added to the red list said one factor in the decline of Turtle Doves was farm hedges. Why are the RSPB so into this hedge thing,could it be it is one way of sounding very clever and putting farmers down and so getting larger membership,absolutely wrong. Yes lots of things for birds could be better on UK farms but blaming farm hedges for the decline of Turtle Doves is ridiculous RSPB. Dennis, you don't live in Lincolnshire I take it. Our hedges, the few that still exist, are, and have been during the past six weeks, cut to within a few feet high, and maybe four feet thick at most. Notice how good a year it's been for fruit? Well, most of ours is now rotting on the ground. The TDs won't mind, they've long gone, but our visiting Thrushes are stuffed (or not, as the case may be). Coupled with field strips that have been at the edges for years and are now being ploughed up, it doesn't bode well does it? And , back to the TDs, when was the last time you saw margins full of Fumitory, their favourite grub? Exactly! Still, it's all looking very neat and tidy! By the way, I hear the hedges at Hope Farm are bigger and better than ever, and rich in fruit......shame it's not up here. Dennis there is active and current research on this including by RSPB led by Jenny Dunn. At least some of her work is published in PlosOne so it is open access. Its worth reading it as hedges are discussed, but not as sweeping generalisations. Food quantity and quality was very important too. Tom,thank you it is interesting but just shows how complicated it can be for just one species as it seems to be just the Yellow Hammer information that I found,my impression is that the farm hedges are almost empty of birds and even though people complain about modern hedge trimming the fact is that in general they provide good dense cover for nesting if the birds were there in numbers to use them. There are so many ways of using certain year dates to prove or disprove facts about hedge distances but it seems that over the period of major farmland bird declines farm hedges have probably increased in which case farm hedges must be capable of holding the same number of farmland birds they did before the major decline. On this basis it seems obvious what is needed is food all the year round for any hedgerow nesting birds. Eating less, consuming less, travelling less etc. etc. - it's all fairly obvious, but isn't there something fundamentally wrong with Capitalism? We are always being told we have to "grow the economy", we need more "growth" - we have to produce more and buy more in order to keep making the profits. It's got to be wrong, hasn't it? But I don't know what the answer is, given human nature. Does anyone? Less people, a lot less. Simples!